Today was the last day of my 5 day Easter weekend holiday. Tomorrow, it is back to my day job. The weekend was filled with the usual weekend activities–laundry, grocery shopping, vacuuming, and dusting. Good Friday we enjoyed a special family meal in celebration of Easter. The extra long weekend also afforded time for quilting. I finished off a super secret project that I can not share pictures of right now and I worked on a project for me. While in Arizona in February 2009, I purchased two panels of cacti prints from the Santa Fe fabric line by RJR. 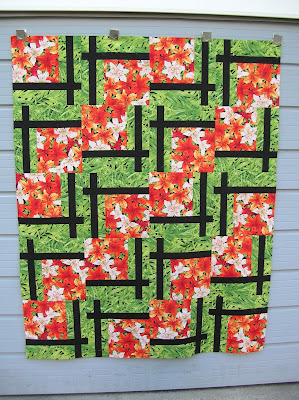 I set the blocks together using the BQ pattern from Maple Island Quilts after seeing a quilt made by Kathleen Moorhead Johnson http://www.augustwindquiltdesigns.com/page13.html. 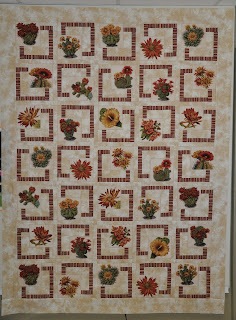 The dark Southwest print to the left of my quilt top is a fabric from the same line as the cacti blocks. 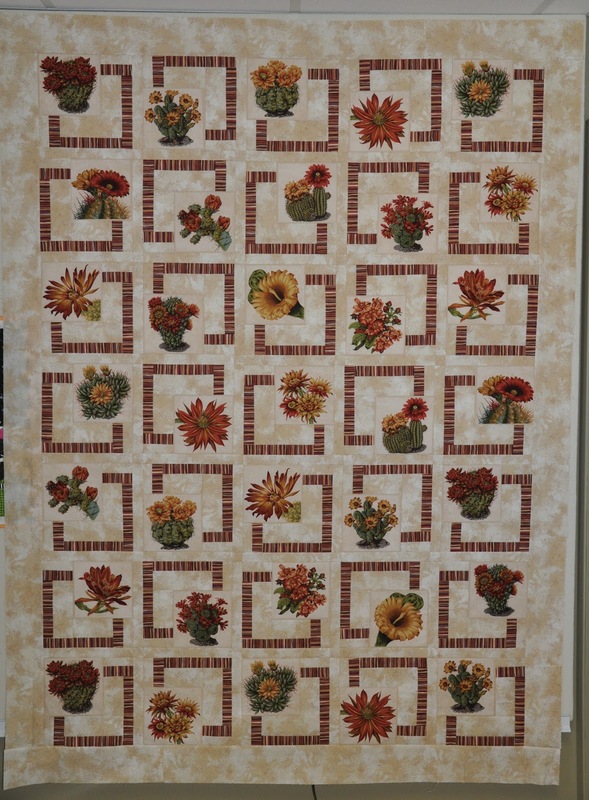 Although I purchased this fabric with the intention of using it as a border, I am not sure I like it with this quilt top. I will have to think further on this. Also, I still have some more cacti blocks so I am thinking of adding another row of blocks before calling this one finished. 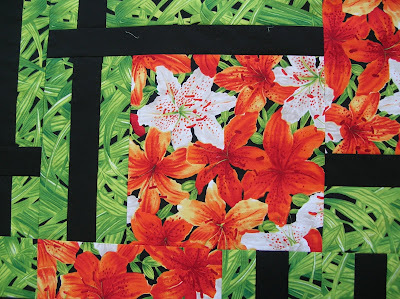 I have an idea for the next BQ quilt that I want to make. 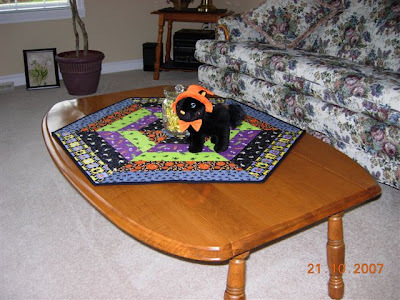 I saw a picture of a quilt made from the BQ pattern in the Fall / Winter 2006 issue of Quilt Sampler magazine. 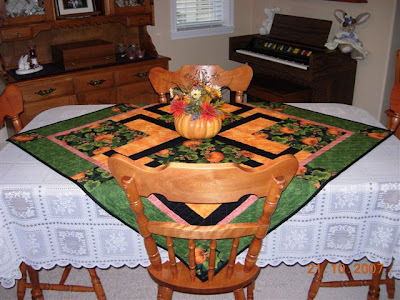 The quilt was from a shop in Tucson, Arizona, called, The Quilter’s Market. 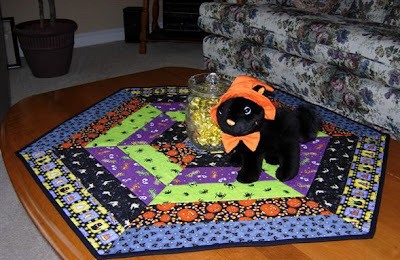 I wrote to the Quilter’s Market to see if I could purchase a kit to make this quilt. 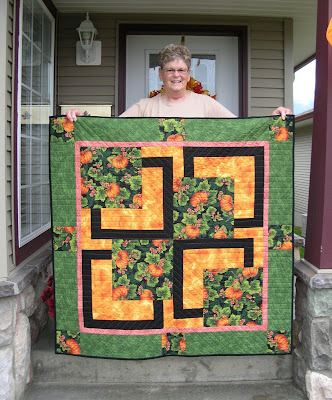 I have not received a reply so now I am collecting fabrics on my own to make this quilt. This is a photo of the picture that was in that magazine. 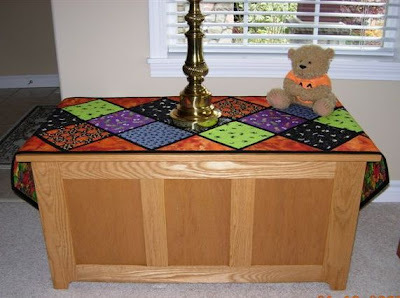 The quilt is made with vegetable fabrics. 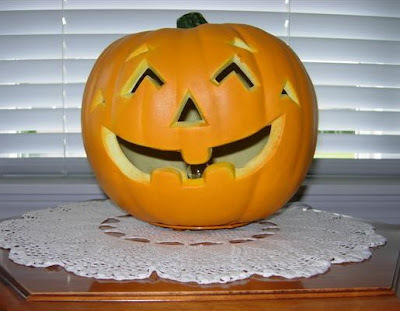 I am going to make my version with fruit and vegetable fabrics. I had Monday off from work so I headed to Bellingham, WA with my parents to do some shopping. While in Wal Mart, I found the following fabrics to add to my BQ#3 collection. 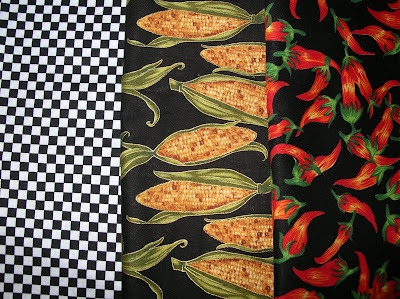 The fabric on the far left is a black and white check to use for sashing the blocks and the corn and peppers will be added to my collection of vegetable fabrics. 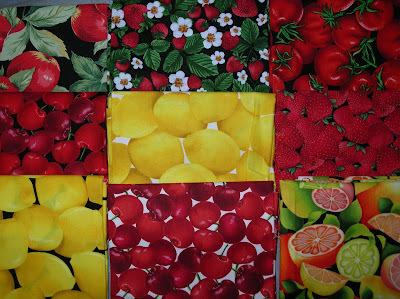 These fabrics are fat quarters of fruit fabrics that I purchased at Hamel’s earlier in the year. There are apples, strawberries, tomatoes, lemons, and citrus fruits.